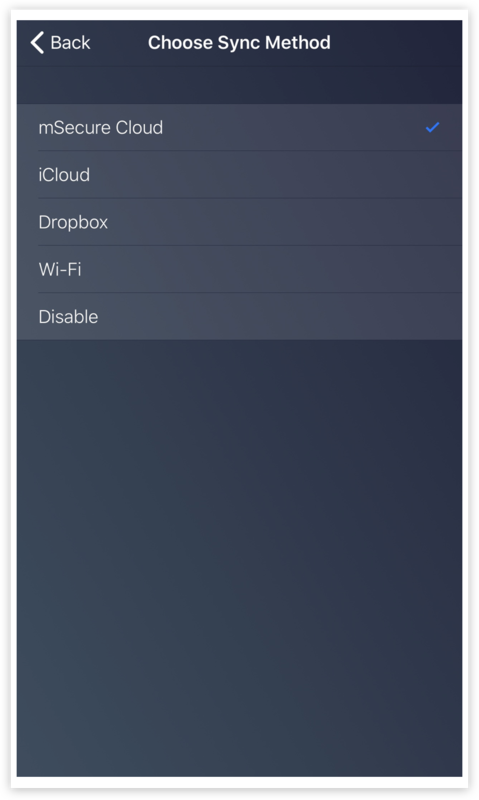 We’re excited to announce mSecure 5.5, a major update that adds support for iCloud, Dropbox and Wifi syncing, as well as support for Custom Icons. This is a free update for all mSecure 5 customers and is available now! When we released mSecure 5 earlier this year, we introduced mSecure Cloud, an integrated sync service that provides a secure and convenient way to sync mSecure on all of your devices without the need for any additional software or services. While mSecure Cloud has lived up to its promise and performed well, many customers expressed their desire to sync mSecure using other methods such as iCloud, Dropbox or WiFi as they had done in the past. So we went back to the drawing board and re-designed the sync architecture to allow users to choose the sync method that’s right for them. 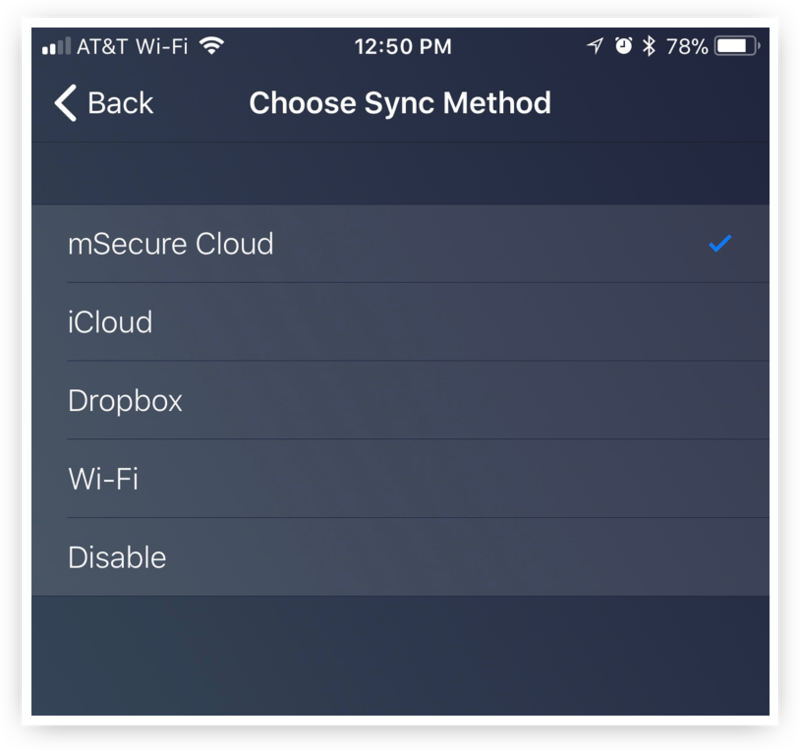 With the release of mSecure 5.5 you can now choose the sync method you prefer — mSecure Cloud, iCloud, Dropbox, Wifi, or none at all — and easily switch sync methods as your needs change! mSecure 5 launched with a fresh set of attractive icons that represent different record types. But many customers expressed an interest in adding custom icons to records for times when the built-in icons aren’t a good fit or to make certain records stand out from others. In mSecure 5.5, we now offer three types of icons to choose from. You can 1) choose from the built-in icons, 2) select a custom image on your device, or 3) search an online database of images and favicons curated by mSecure. Now it’s easier than ever to find the perfect icon for each record stored in mSecure. In addition to the features listed above, mSecure 5.5 includes dozens of other enhancements and bug fixes making it the best mSecure yet. For our non-English speaking customers, mSecure 5.5 is in the process of being localized into French, German and Italian. The localized versions will be completed in the coming weeks and available as a free update. 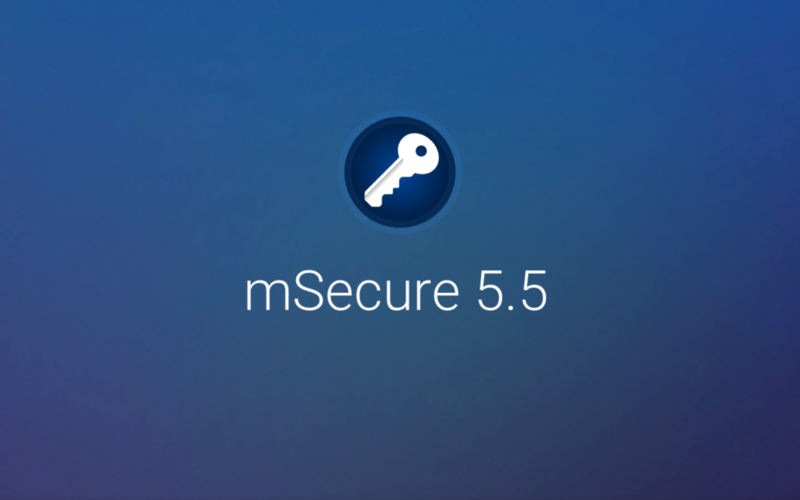 mSecure 5.5 includes both Free and Pro features. The Free features can be used forever at no cost. The Pro features are free to try for 30-days. After that, you must purchase a license to continue using the Pro features. A Pro license of mSecure can be purchased for $29.99 that entitles you to use the software on all of your devices on multiple platforms (iOS, Android, Mac and Windows). We want to emphasize this is not a subscription, it is a one-time purchase. What’s more, a single purchase of $29.99 allows you to use the software on all of your devices on multiple platforms. Once you purchase mSecure via In-App Purchase on one device, or directly here on our website, it’s instantly unlocked on all of your devices.